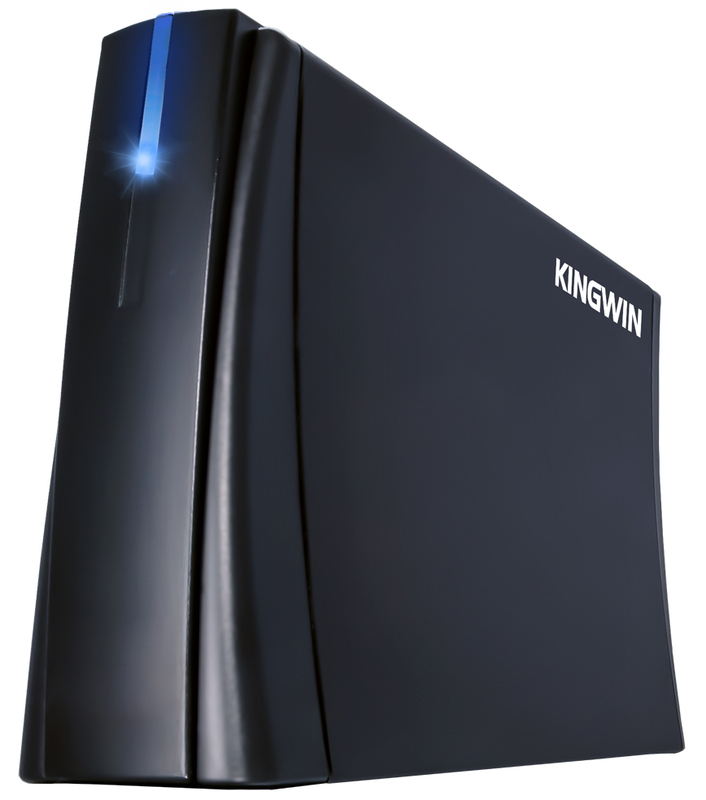 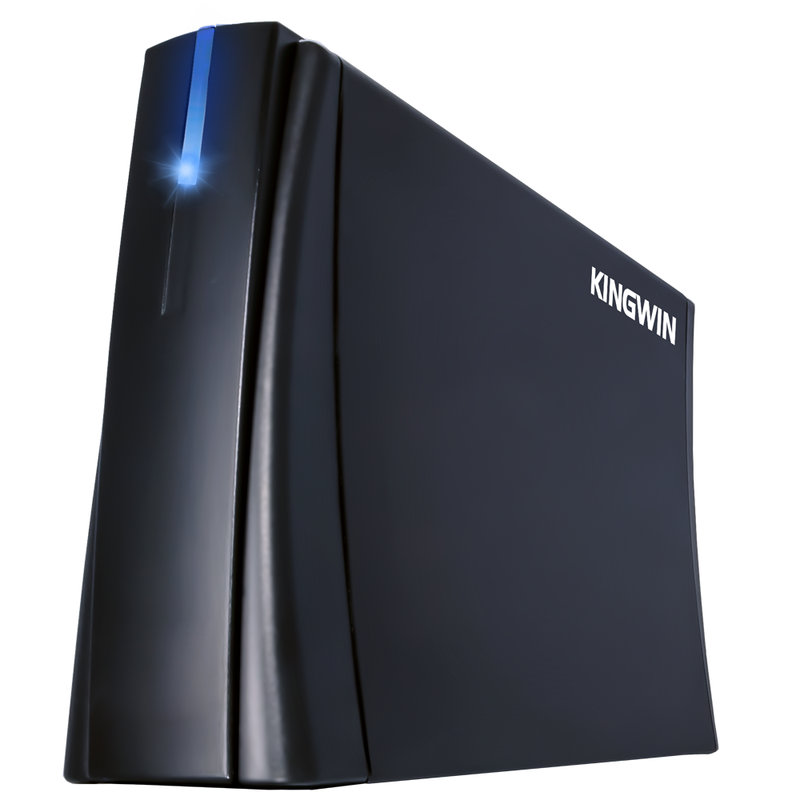 HDD Enclosure KH-303U3-BK | KWI Technology Inc.
Kingwin is proud to present the new KH-303U3-BK Hard Drive Enclosure; an easier way to store and back-up large amounts of data. 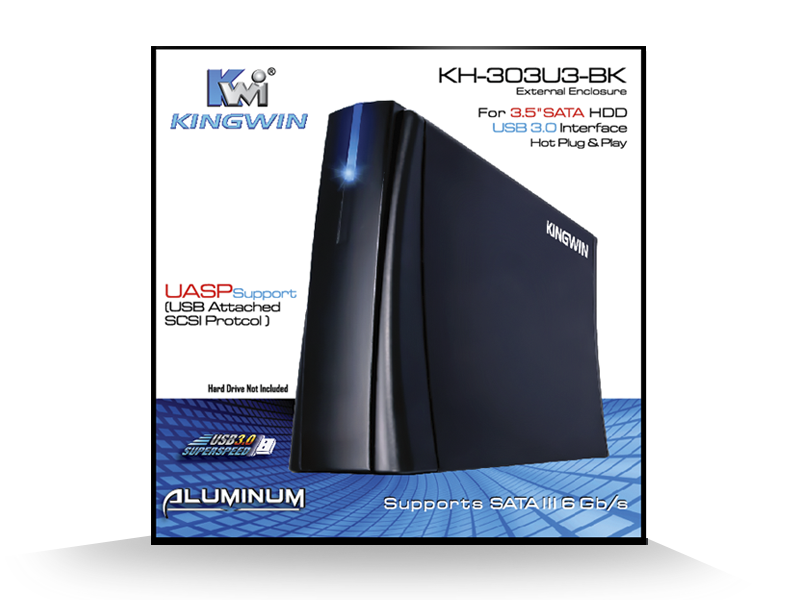 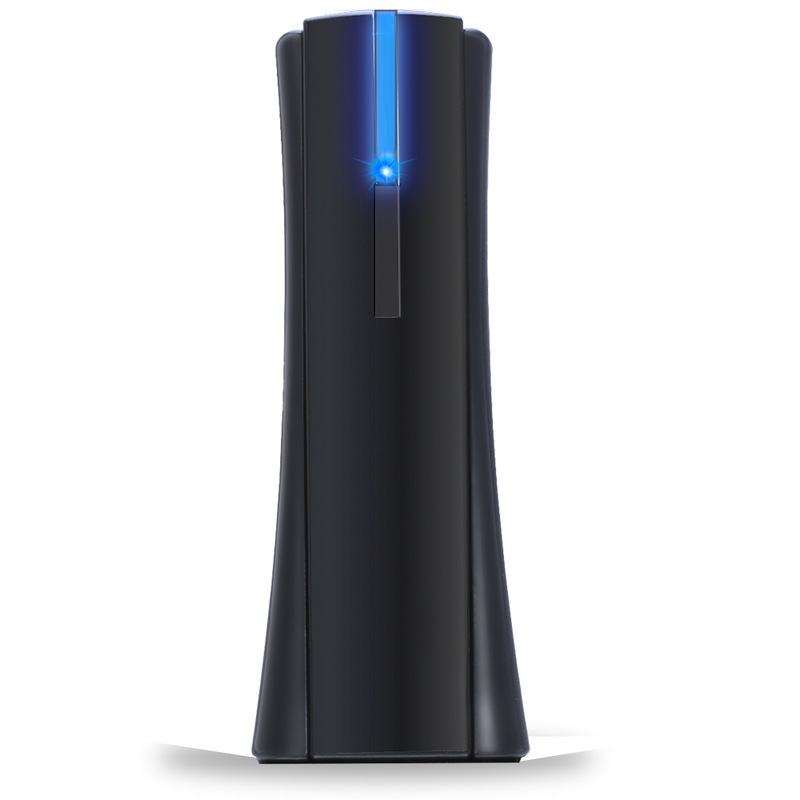 The hard drive enclosure features a smooth, aluminum finish. 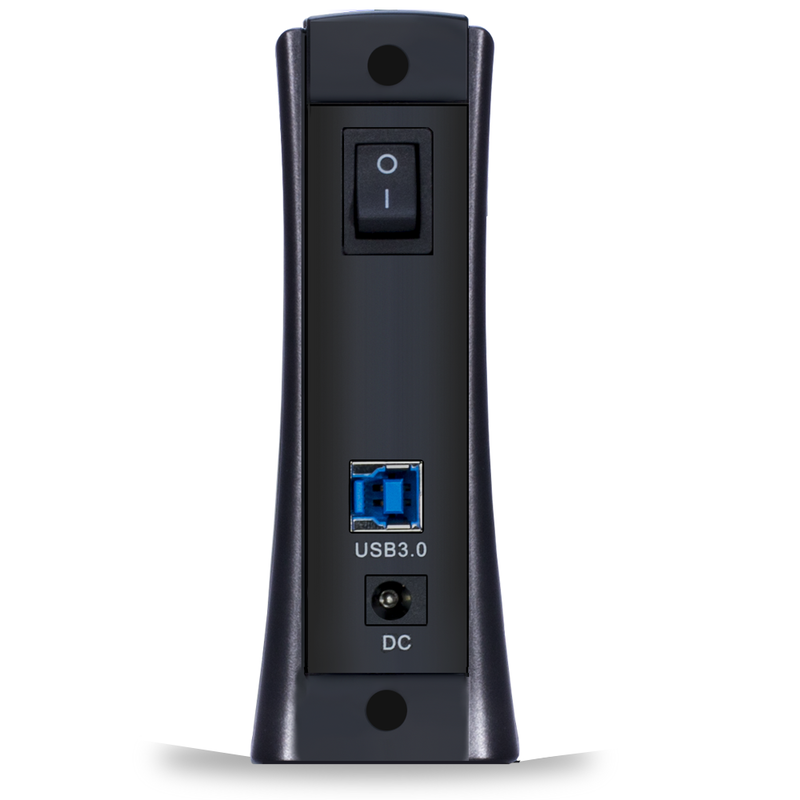 Designed with mobility in mind, the KH-303U3-BK allows greater portability, making it easy to take your data virtually anywhere. 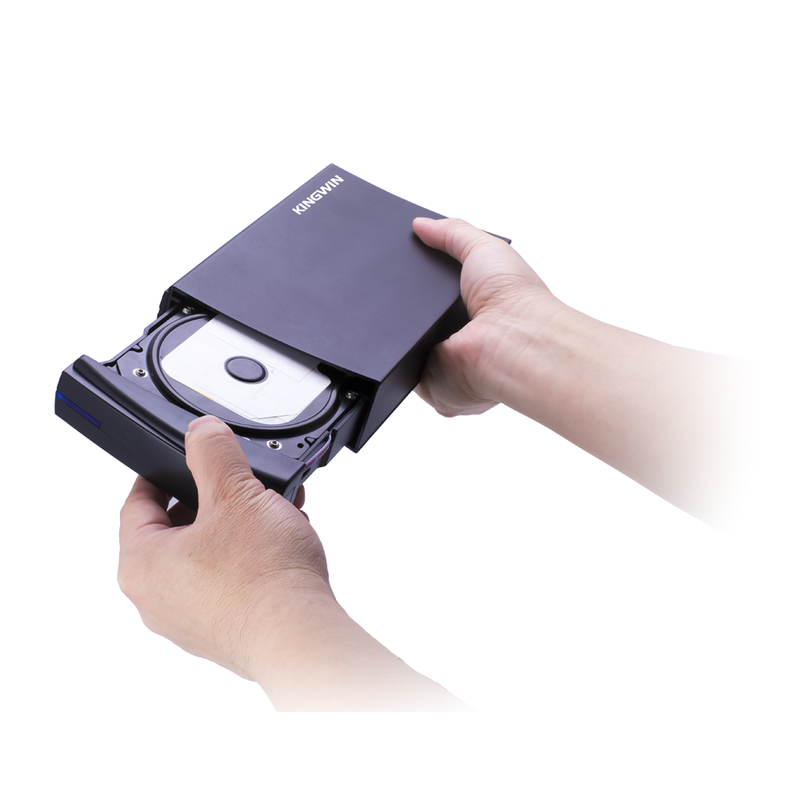 Light in weight yet bold when it comes to quality, this hard drive enclosure is easy to carry and place anywhere —whether you’re constantly on the move, at the office or at home. 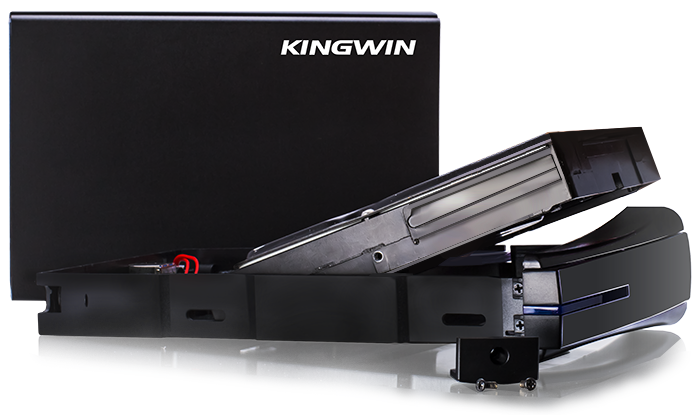 The reliability of this enclosure roots on it’s design and the quality materials used during manufacturing. 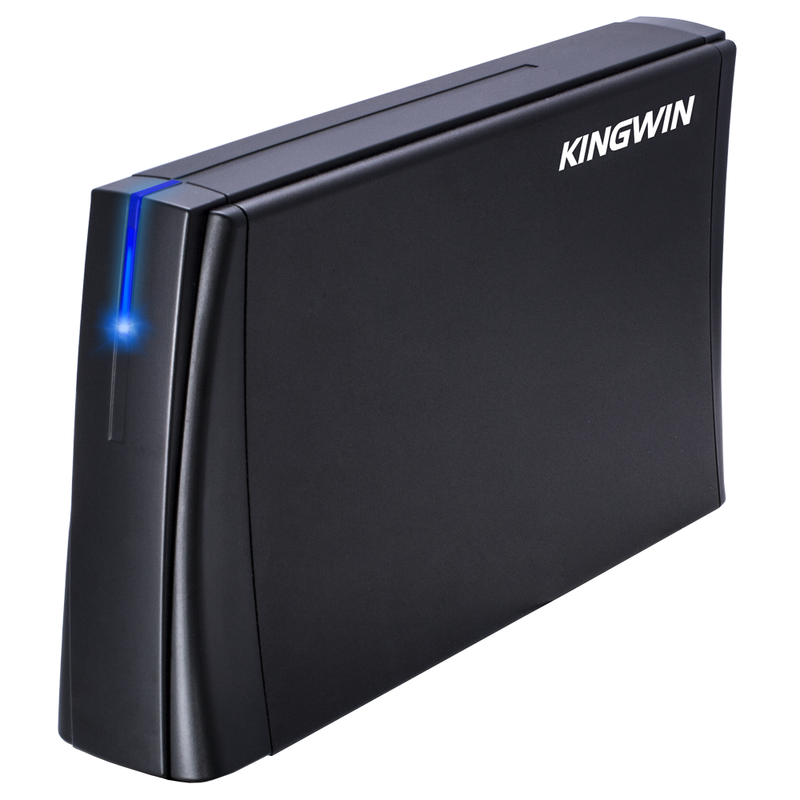 It’s thick aluminum body ensures faster heat dissipation to maintain optimal working temperatures while the hard drive is in operation, as well durability ensuring that your drive works efficiently for longer periods and your data is securely enclosed in a device you can trust. 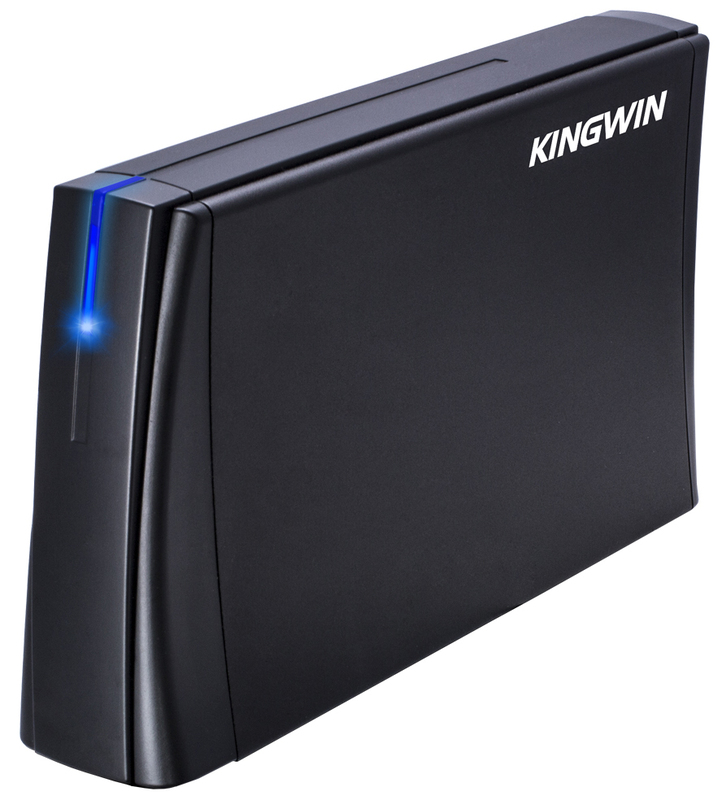 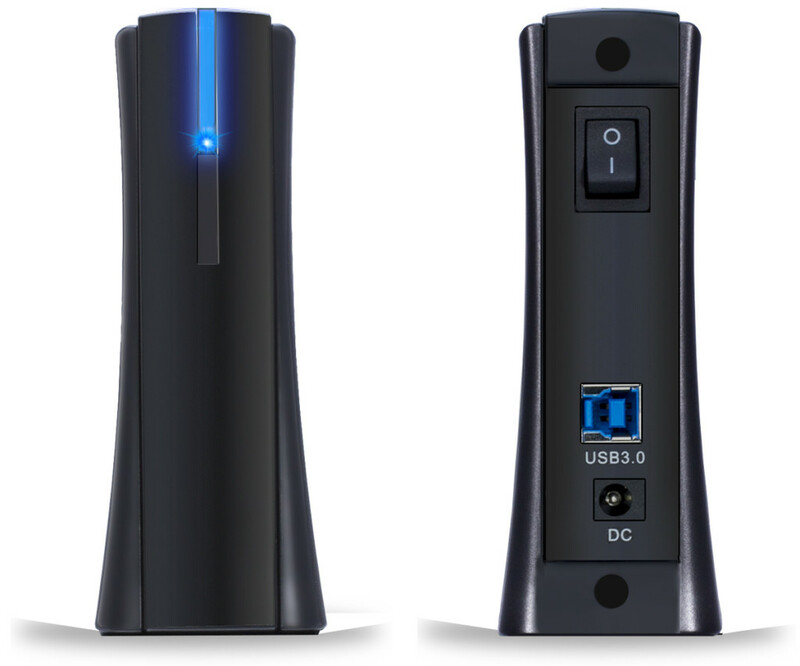 This plug-and-play hard drive enclosure is fully compatible with Windows, Linux and Mac with no prior driver installation required, allowing use on any operating system without losing data.